IMAK® Arthritis Gloves have been designed by an orthopaedic surgeon to help relieve aches, pains, and stiffness associated with arthritis of the hands. 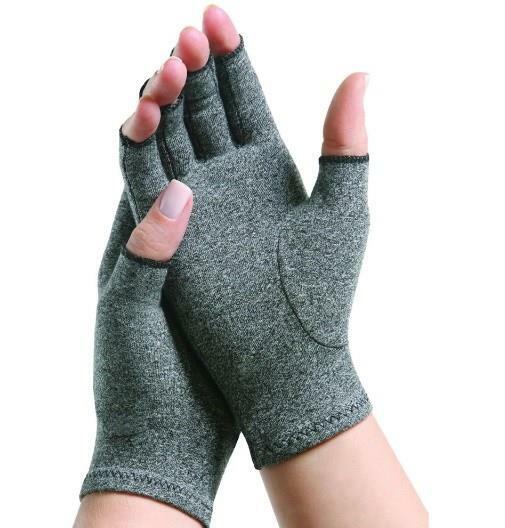 The unique design of the gloves provides mild compression, increasing the warmth in the hands, helping to increase circulation. This provides relief from the symptoms of Arthritis. Increased circulation promotes blood flow to the area, which in turn reduces pain and promotes healing. The gloves are made from a soft, breathable cotton and feature open fingertips which allow the wearer to perform normal daily functions. IMAK® Arthritis Gloves have also earned the Arthritis Foundation’s Ease of Use Commendation for its design and are available for purchase in a variety of sizes from any of Core Physios locations.